Most people know the purpose of traditional braces and have a general idea of how they work. But have you ever considered how modern braces came to be? Braces have been perfected through advances in technology over the years, starting in ancient times with Aristotle and Hippocrates hypothesizing how to straighten teeth in 400 BC, to the present day with refined accelerated treatments and Invisalign®. Our expert for braces in Asheville gives an overview of how braces have transformed over time. 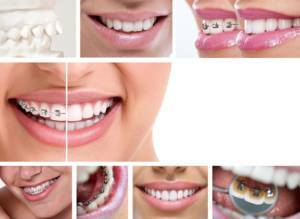 Contact our expert for braces in Asheville today to find out more! The information provided in this article is not meant to be medical advice and is for educational purposes only. If you would like to learn more about this and other topics related to orthodontics, feel free to contact TS Orthodontics, with a convenient orthodontist office in Asheville by clicking here or by calling 828.263.4514.